Move over, Music for Airports. Now there’s Music for Museums. In the companion installation, Presence, the studio worked with LA Dance Project choreographer Benjamin Millepied and his troupe, forming their sweeping dances into three-dimensional virtual sculpture, in a full-body painting equivalent. But this is also an opportunity to revisit the music of Warp Records veteran Simon Pyke. Working with Universal Everything, he weaves whimsy with rhythmic urgency, expressing the fancies of the guests and their play in musical form. Media Space / Documentation from Universal Everything on Vimeo. Here, installation and album are cleverly paired. Simon Pyke’s music is preserved on 180g vinyl, but wrapped in the visual ephemera of the exhibition. 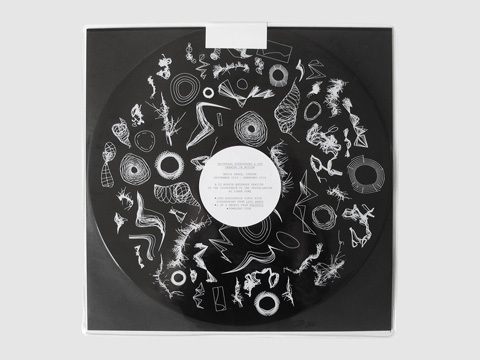 Matt Pyke, who led the installation, designs the release with a screen print made a picture disc on one side, plus one of the four prints from the installation (you choose which). 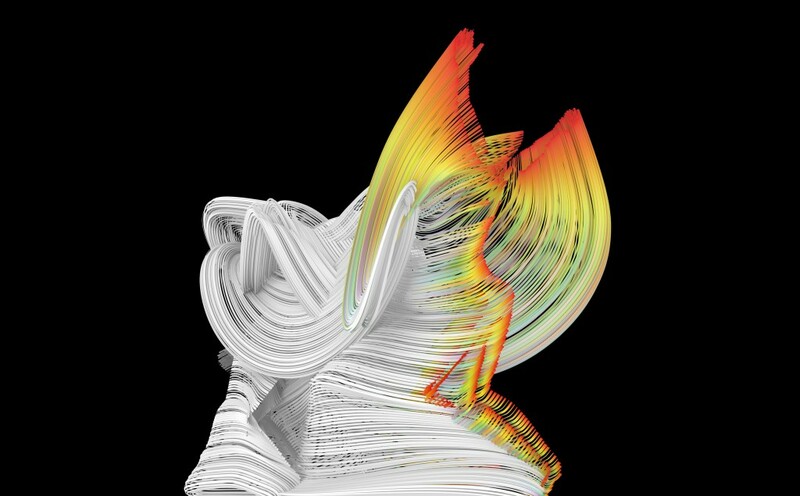 Matt, like Simon, has a long-standing relationship with the legendary Warp Records; it’s nice to see all of this still coming together. Pictured below is the nice job they did on the release, visually speaking. Oddly, this solves the problem of how to sell both digital art and digital music – there’s no real substitute for the physical item in this case. It’s Pictures at an Exhibition, in a manner of speaking, inverted. Just how connected has Warp been to the Pykes? 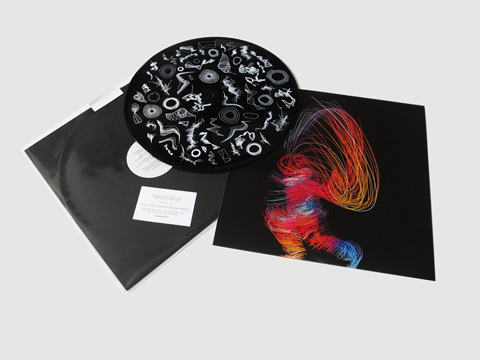 Warp has a long relationship with Simon Pyke and Matt Pyke, having first released Simon’s music as Freeform (Prowl, WAP73, 1996), for which Matt designed the sleeve. Through this connection, Matt was introduced to Warp and subsequently the Designers Republic for whom he went on to work. 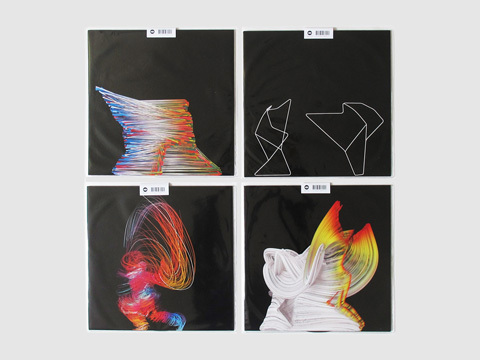 During this time and since launching Universal Everything, he has designed many Warp record sleeves and the Warp.net and original Bleep.com websites. I continue to love his music. And since then, he’s posted a retrospective on his Bandcamp described “Melodic Sketches.” This is why I love Bandcamp – this is just the sort of music I want to download, save on my favorite USB key, backup in lossless format, and listen to at 35,000 feet in the air somewhere over the Atlantic Ocean when I have no Internet connection. It’s music to keep, not stream. Simon’s Freefarm is an innovative business that supports the economics of all this musical productivity (and, I’m sure, in no small part funds his studio). From branding to sound design, he has all the bases covered – but that’s all the nicer to see him still releasing, for us music nerds who would happily buy the work sans automotive sponsor. On vinyl, on Warp, on Bandcamp — whatever. By the way, London’s Science Museum is now squarely on your must-see list if you find yourself in London. (Book a layover at Heathrow if you have to.) Apart from this installation, there’s a chance to see the (sadly, non-working) Daphne Oram Oramics machine. You’ll have to climb over herds of migrating schoolchildren to get to the exhibits – it feels a little bit like what would happen if the Natural History museum beasts came alive, human kids in place of dinosaurs. But it took my breath away to see this in person (plus a charming collection of other important instruments). Oramics to Electronica – Science Museum from Nick Street on Vimeo.